"Colombian born Angelica Liv, actually resides in Tokyo doing studio work at Musashino Art University. Her work consists of bold colors, a mix of thick-thin lines, lively characters, power animals and deconstructing clichés. 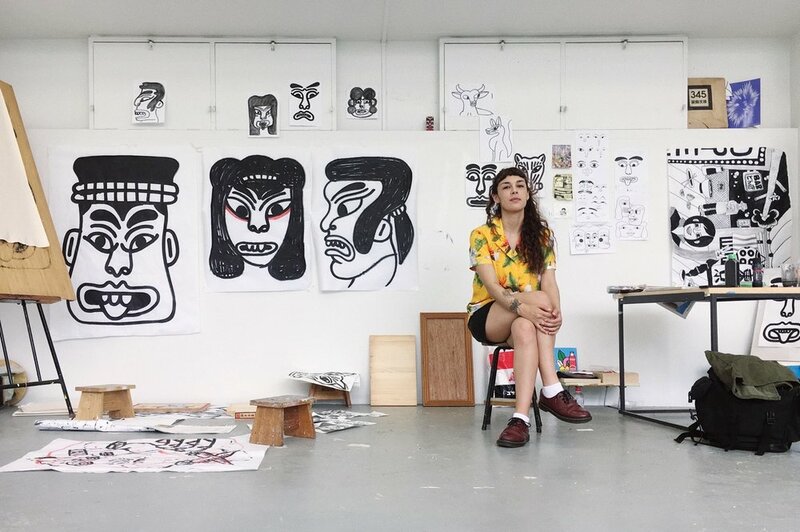 She resumes a mixed scope of naive and contemporary shapes applied to different techniques including screen printing, acrylic painting on wood, muralism, gifs, zines, analogue and digital illustration." For work inquiries and love notes please fill out the form below. Thank you!